President Miles among Westchester’s most influential people. 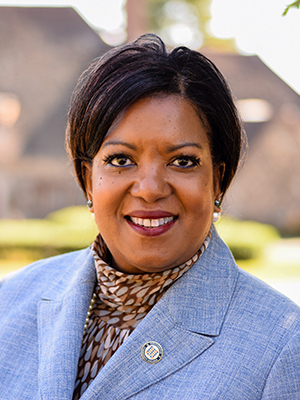 Belinda Miles is president of Westchester Community College, which serves more than 26,000 students in one of the nation’s largest metropolitan areas. Miles is deeply committed to student success and completion, having worked with faculty and staff to achieve a 42 percent increase in the community college’s three-year graduation rate and has overseen the largest graduating classes in its 72-year history. Since taking the reins of the SUNY school in 2015, her leadership has contributed to WCC being selected as a member of the Achieving the Dream network of community colleges committed to improved student outcomes and as one of two institutions selected nationally for a $1 million award in support of accelerated associate degree programs. Miles is deeply involved in the community as well, serving on many boards, including The Business Council of Westchester and the Westchester-Putnam Workforce Development Board. Miles has been described as a great motivator who gets results. She is a highly regarded regional and national presenter on a range of topics, including community colleges as a disruptive innovation in academia that fosters an equitable and inclusive democracy.